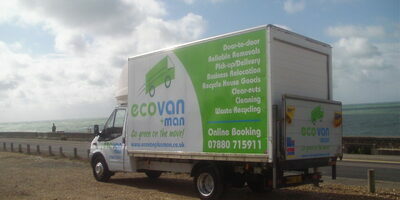 Welcome to our Man with Van Hire Services which cover, Surrey, Hampshire and Kent. Our reliable team will tailour services to meet you needs. This may range from a regular collection, internal office relocation or a full house move. We have large Luton van with tail-lift which is retrofitted with an eco-drive system and we offset carbon emissions for removals of four hours plus through a UK tree planting scheme. We are a family-run business with a strong reputation, repeat customer base with experience of providing friendly, efficient, low-cost moving services and business removals.